Cybercriminals have their sites on healthcare data. See tips for how to protect this sensitive information. It’s an understatement to say that data security is critical in healthcare, where a breach can not only impact an organization’s effectiveness and reputation but also affect patient privacy and—worst-case scenario—health and safety. The growing number of new technologies available for healthcare providers make them more vulnerable by providing a higher number of access points for cybercriminals. It’s important to make strong data security investments, and continuously work to keep networks, connected devices, and all potential endpoints secure. Mobile device issues - healthcare organizations have sensitive data spread across a large number of devices. It’s not just servers and desktops, but also laptops, mobile devices, and specialized devices for inputting medical record data. All devices with sensitive data should be able to be encrypted at all times and have the ability to remotely wipe devices when lost. Healthcare organizations need to have processes in place so they can quickly learn about the lost device, wipe the data remotely, and provision a replacement laptop so that the clinician can go back to work. Medical device issues – healthcare organizations are using more specialized medical devices that connect to a huge array of sensors and monitors, making them potential entry points to larger hospital networks. A hacked device can lead to the theft of sensitive medical records, or a devastating ransomware attack that holds vital systems hostage. Efforts have been made over the last few years to improve the security of medical devices being put on the market, however securing existing devices and putting the work into protecting new ones is a gradual process. The adoption of new, more sophisticated approaches to cybersecurity will help keep systems protected. Healthcare ransomware – this is one of the top threats in terms of healthcare data security. Whether a hospital employee inadvertently downloads malware in a file, or third-party attacker is able to successfully infiltrate a network, ransomware can put an entire EHR on lockdown and prevent providers from accessing patient files. Employees need to be cautious about unsolicited attachments, and provide training sessions about best practices when downloading email attachments and accessing the Internet. Administrators should receive extra training and limit their email and Internet activity while logged in as administrators. Secure Supply Chain Management – SCM is a growing area of concern when it comes to quality assurance of data, PHI, and medicine. The decentralized security capabilities of Blockchain will indeed be a future foundation for managing the integrity of PHI/EMR. Interoperability inherent in BC technologies will also allow safer data transmission for medical institutions to share confidential information. Healthcare organizations must take the appropriate steps to ensure they are making strong data security investments, and are continuously working to keep their networks, connected devices, and all potential endpoints secure. There’s no “set and forget” solution (and no “one and done” assessment) that can provide the comprehensive and thorough risk management program needed to properly secure healthcare data. 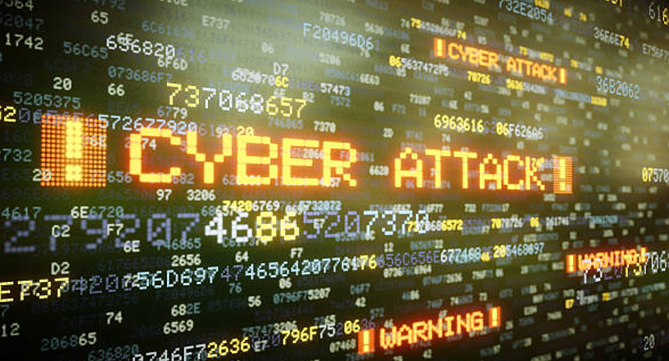 As cybercriminals become increasingly sophisticated, so too must methods of protection. There is enormous pressure to increase security maturity in healthcare. To acquire a mature security posture, organizations must understand security and risk budgeting and learn how to gain support from the executive and board level for the investment needed to protect data. However, by investing in proper analysis of existing security protocol now, organizations will save money in the long run by identifying gaps so they can prioritize future spending. StrataCore can advise on healthcare-related cybersecurity strategy, risk assessments, and compliance audits. Contact one of our experts here to set up a quick discovery call. For more information on risk assessments, see our cybersecurity risk assessment data sheet.